Xiaomi’s masterstroke in 2018 came in the form of a sub-brand, POCO. The first phone from the debutant brand was the POCO F1 that became an overnight star in the smartphone market, thanks to its flagship specs at the price of a mid-range. Xiaomi does not want the buzz around the POCO F1 (review) to fizzle out even a bit, which is why the company has added two new skins for the phone to commemorate its success and also the beginning of a new year. Besides, Xiaomi has also updated its forum to inform the POCO F1 users about the Widevine L1 support for the phone. 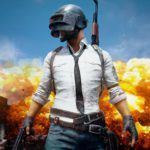 The forum post also mentions other bugs and features that the company is currently working on. 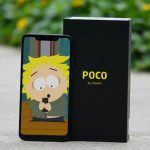 Let’s check out all the information surrounding the popular POCO F1 smartphone. 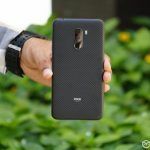 Xiaomi took to its Twitter account to announce the addition of two new skins for the POCO F1. 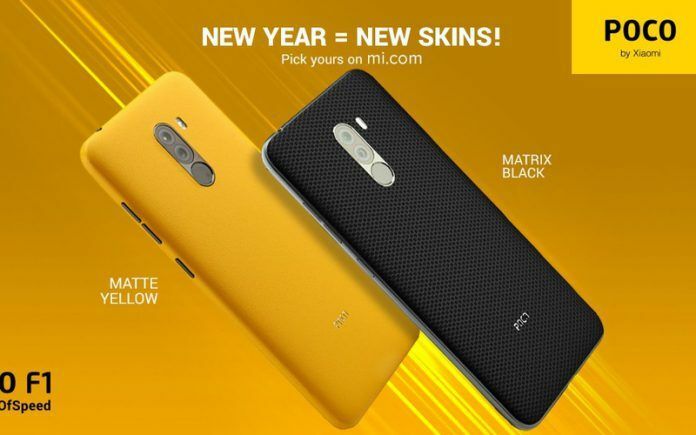 The company has added one Matte Yellow skin that looks pretty vibrant and premium. We think this skin has been launched to woo the POCO F1 users who were impressed by the Yellow color of the iPhone XR (review). The second skin is Matrix Black that looks decent yet superior. It will suit the POCO F1 users who want to keep things simple with a touch of trend. Both the Matte Yellow and Matrix Black skins are listed at INR 299. Interested POCO F1 users can purchase them on Mi.com and Flipkart. 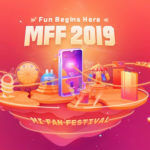 In addition to launching new skins for the phone to mark the new year, Xiaomi has also made a forum post that updates users about the latest developments and issues that are under work. 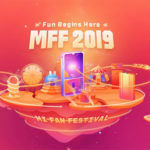 In the post, Xiaomi has accepted that it is yet to offer a hundred percent satisfaction to the users of POCO F1. It can be attributed to software level issues that kept barring the lag-free experience. Xiaomi listed the support for Widevine L1 and revealed that it is still working on bringing it to the POCO F1. The company has not mentioned any set timeline for the support to arrive via update, but we can expect it soon. One of the other issues included the disappearance of the notifications from the status bar. Xiaomi acknowledged the issue and has mentioned that it is currently working on the solution to ensure that the notifications stay in the status bar, unless wiped manually by the user. Besides, Xiaomi also recognised the battery drain issue in Android P. It has asked the users to keep sharing feedbacks so that it can be resolved sooner. Another issue that was reported by the POCO F1 users was the touch lag and the wrong touch, Xiaomi has confirmed that the beta tests have garnered positive feedback from the users and it will soon release a stable version that will wipe the issue. Xiaomi also mentioned that it has completed the development for 4K 60fps recording on the POCO F1, and is currently running final test. Some of the users also reported the inability to choose the SIM card in dialer, Xiaomi has mentioned this issue in the post as well. The company is currently analyzing this issue. At the end of the forum post, Xiaomi stated that it has some ‘killer activities’ up its sleeves for the next month i.e. February 2019. The company has also noted that it has news and additional ideas planned that will be loved by the POCO community. Well, it would be interesting to see what the company does next to keep the buzz going around.